New York City, Melbourne, Vienna, Toronto, Los Angeles, Singapore, Geneva, Seattle, Sao Paulo, Buenos Aires, Vancouver, Paris, London, Sydney, Johannesburg, Helsinki, Zurich, Oslo, Chicago, Copenhagen, Tokyo are among the world's most developed and visited cities. 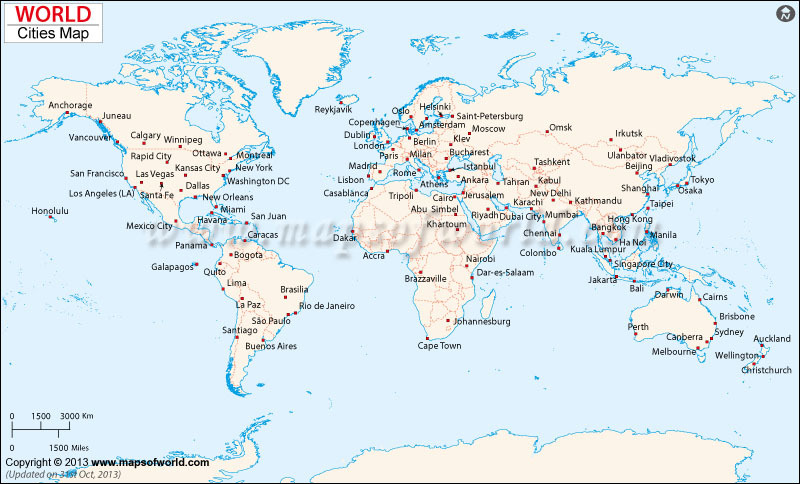 Description: The World Map shows all the major cities of the World. The development of modern world primarily began with the industrial era which led to the emergence of industrial and economic centers of growth across the continents of North America and Europe.The next two centuries proved to be an era of global transition brought about by unprecedented economic and technological advancement. In the latter half of the 20th century, the concept of world cities was introduced, which recognized a few cities from around the world for their immense influence on the global affairs resulting from their strategic importance. There have been developed methods for evaluating the magnitude of importance a globalcity commands as based on a variety of criteria like global familiarity of thecity without direct reference to the political subdivisions. Another such criterion is the presence of international bodies of strategic significance, as for instance, the New York City is home to the United Nation's headquarters which exercises direct influence on world affairs. Other such criteria include a highly advanced transportation system, a large metropolitan population, presence of international financial institutions, world city population, well developed communications infrastructure or cultural institutions of global importance. 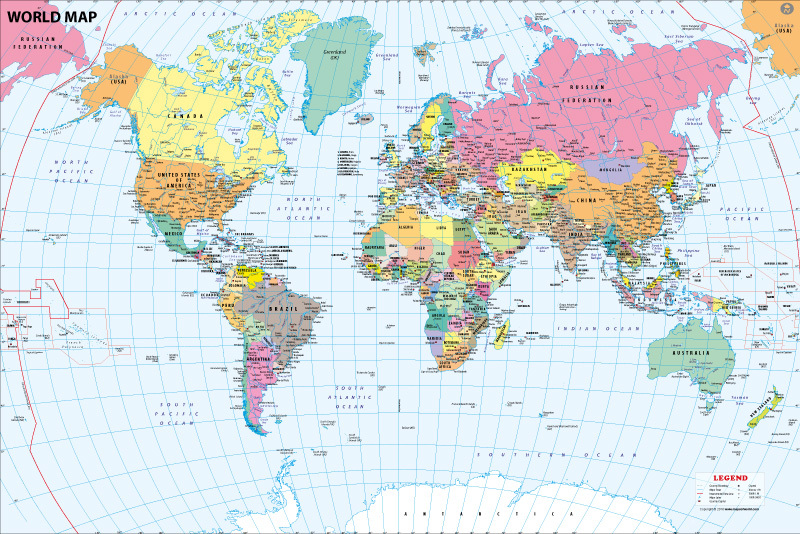 The World Map with Cities on this page defines the location of a number of modern cities on the world map which have played and are still playing a vital role in reshaping the post-modern world in their own unique ways. These include the cities of London, New York City, Paris and Tokyo known for their economic, cultural, industrial and political influence on a global scale. The world city maps in these pages also helps you find out the world city distance using appropriate scales.